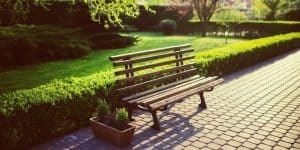 When taking care of your lawn, it’s not always clear which tool is going to be best for the job. This is particularly true when shopping for shears. 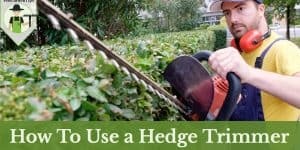 How do you know which kind of shear is going to work best for your hedge at the end of the driveway? You could just stick with the tried-and-true manual shears, but even then, there are varieties that may boggle the mind. There’s also a good chance you could tire yourself out in the process if it’s a particularly big job. 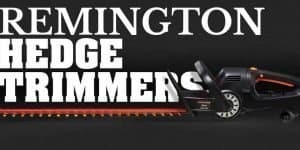 This article will help you figure out what kind of garden shears you need by laying out some information on the types that are available. 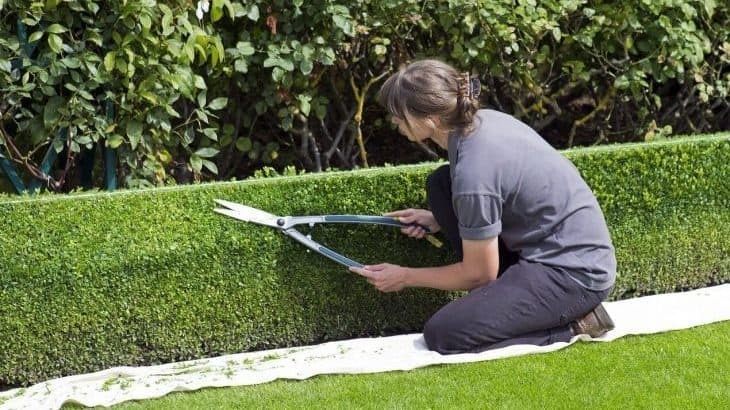 Many of those familiar with the efforts of trimming, whether they are working on small plants or long hedges, fully believe in the abilities of manual shears. No doubt there are a lot of benefits to these kinds of shears. Many people believe they provide sharper cuts than any mechanized variety. It also can’t be argued that while the electric shears do make some noise, manual shears are nearly silent. This makes them easy to use at any time of day without damaging your own hearing, or disturbing neighbors in the process. Oftentimes, manual shears will also come with shock absorbing features that help to reduce strain to your wrists and elbows. Unfortunately, manual shears are not best suited for long jobs because they work only under the power of the individual holding them. This can tire you out when working down a long row of hedges. It can also create muscle strain that the motorized versions avoid. 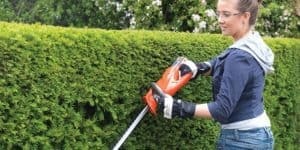 While manual shears are capable of providing cuts that are cleaner and more precise, they are more suited to small jobs that won’t cause you to exhaust yourself while using them. There are two main types of motorized shears. The first is gas-powered, and the second are electric garden shears. Electric shears can come in two varieties, namely corded and battery-powered. These different kinds of shears are great for serving different purposes. Overall, motorised shears are going to be better suited for longer jobs, as it can be easy to wear yourself out trying to complete a long task with manual shears. 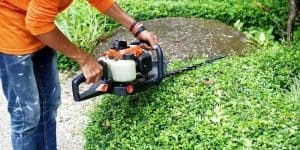 Gas powered shears are going to be the ideal choice when it comes to cutting through thicker branches. 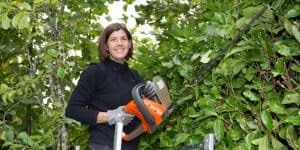 Many gas-powered shears can cut through branches that are up to 1” thick, which is something neither manual nor electric shears are capable of doing. These shears also have a tendency to be longer and therefore, able to cut branches that are out of reach or up high, with little effort. Gas-powered shears are typically heavier than other kinds of shears but are also more mobile. Many models offer anti-vibration features that help keep you comfortable and in control of the cutting. However, this type of shears can be noisier than others, so it’s important to keep in mind that you’re going to need hearing protection while using them. It is best to make sure you complete any tasks that require them during the times of day when they won’t wake up your neighbours. Within the electric variety of shears, there are two different styles. The first are corded shears, which require an electrical outlet to plug into in order to run. The great thing about this is that it runs clean. There are no emissions from this style of shear and it doesn’t need gas or any other kind of liquid fuel. This makes these shears great for the environment, which is a topic growing more and more important in modern times. Another great feature of these shears is that they tend to be lighter than the gas-powered variety. 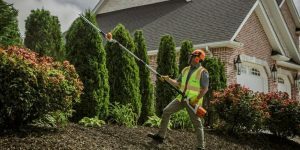 The biggest problems with corded shears are that the cord can have a tendency to get in the way, and at times it may be possible to cut right through it if you aren’t paying enough attention. It can also be annoying having to make sure you are either near an outlet, or have an extension cord long enough to reach the area you are working in. 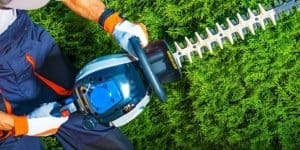 If electrically powered shears are interesting to you, then the cordless variety are a wonderful option. You won’t have to worry about the cord getting snagged up or just being in the way. These kinds of shears just require a well-charged battery and they’re good to go. 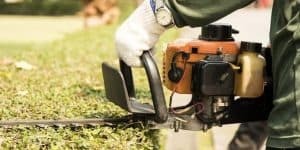 Both corded and cordless electric shears can cut branches up to either 1/4” or 1/2” depending on the model, which isn’t as much as gas-powered shears so it’s important to keep in mind that if the branches you’re looking to cut are bigger than that, you may want to look into the gas-powered shears as an option. Otherwise, electric shears are a great choice that benefit both you and the environment. Overall, there’s no denying that each kind of shears has benefits as well as weak points. No one kind of shear is going to be the perfect answer to every shearing situation. The closest you may come to finding that perfect answer is going to be the cordless shear. 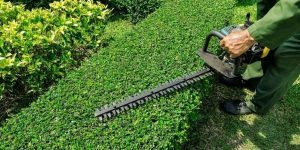 However, if you are working with branches thicker than 1/2” or are looking for the most precise cuts you can get, it would still be worthwhile to have other kinds of shears available to take care of those tasks. Many professionals will use different kinds of shears for different tasks. For smaller, more precise jobs, manual shears are going to be ideal. They allow you to make each cut exactly as you intend. For longer jobs in which the branches will be under 1/2” thick, electrical shears are a perfect answer. 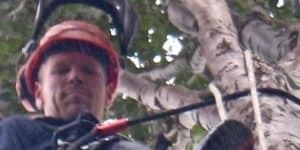 However, if you are going to be dealing with particularly thick branches, then you’ll want to meet that need with gas-powered shears. Each kind of shears has its place, and each is useful. 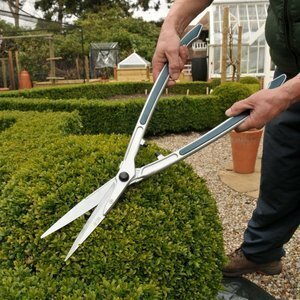 I find that manual shears are great for doing precise cutting jobs, such as buxus sempervirens models. Basically shrubs where you would care a great deal about the shape. 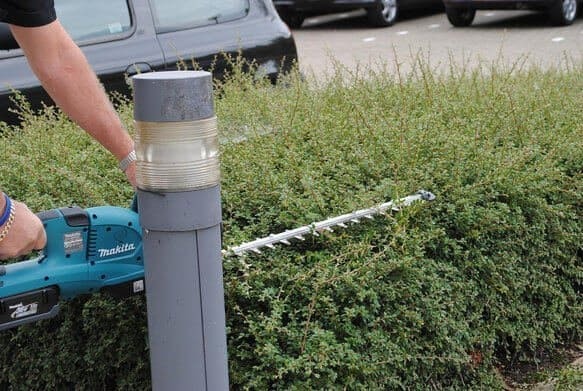 If you have a big long hedge motorized trimmers are the way to go.